Upscale and distinguished downtown living in Plum Court - recently renovated and secure building in the heart of Franklin Square near Creek Walk, highways, downtown and hospitals. This east and south facing corner unit offers loads of light, soaring windows to capture the stunning city views and a great open floor plan. This luxury condo is move-in ready: custom-fitted California Closets in entry hall and master bedroom, over-sized master suite with a wall of windows (could replace wall to return to 2 bedroom), huge great room is open to dining area & the fully renovated kitchen with breakfast bar, high-end granite counters and back splash, stainless steel appliances, Bosch quiet dishwasher and rich cabinetry. 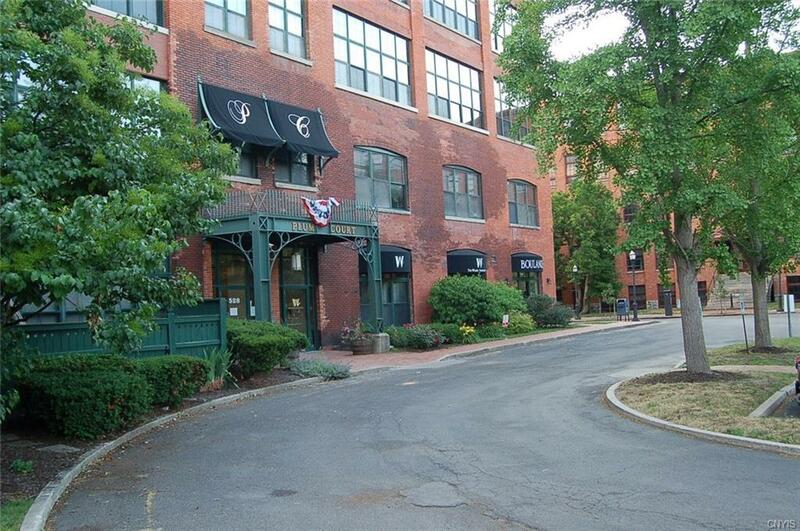 Convenience of a deeded parking space in garage as well as in-unit laundry room. Nearest Cross Street Solar St.